The agency’s Bengaluru operations will manage the business. 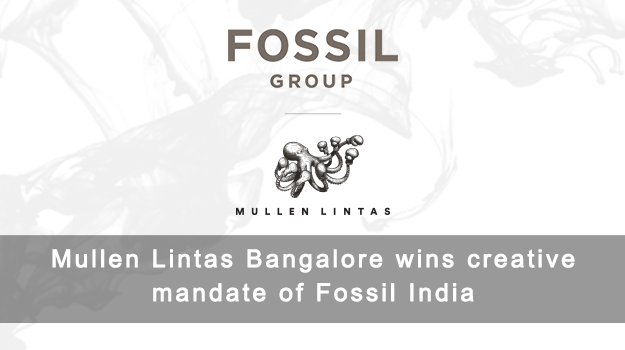 After a competitive multi-agency pitch, Fossil India appoints Mullen Lintas as its advertising agency partner on its range of watches and accessories in India. The agency’s Bengaluru office will be responsible for strategizing, planning and execution of the campaigns. Fossil India, a 100% subsidiary of Fossil Group Inc. started its India operation in 2008 retailing its products through multi-brand outlets (MBOs) such as Lifestyle, Shoppers Stop and others. In early-2014, the brand opened its first Exclusive Brand Outlet (EBO) in Mumbai. Johnson Verghese, VP, Managing Director, Fossil India said, “It is the first time we have embarked on a marketing campaign of this magnitude. We were happy to associate with the passionate team at Mullen Lintas. The aim is to co-create content to drive brand awareness around Fossil and its latest range of connected timepieces. We look forward to an interesting and insightful journey ahead”. The news was first published in Campaign India.